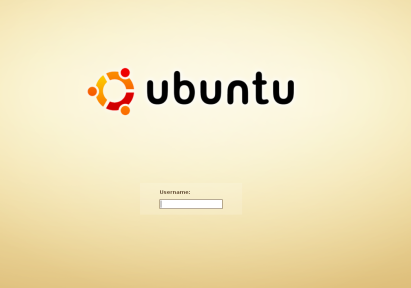 Ubuntu has its roots in the Debian GNU/Linux distribution. It was initially planned as a simple fork from the main distribution. Debian tends to be more conservative in how often it releases new versions. The new fork was set to be a snapshot released every six months. It was originally released under the name "no-name-yet.com." This domain now redirects to the main Ubuntu website. The six month release schedule held, but the simple snapshot idea did not. Unlike other Debian-based forks (e.g., Xandros, Linspire, and Libranet), the new version remains freely available and uses predominantly free software (some of the hardware drivers are proprietary). It has, however, grown beyond its Debian roots and become a distribution in its own right. Whereas one used to be able to mix and match software from the two, now one must be more careful about compatibility. No-name-yet.com eventually became Ubuntu, and the first publically released version (4.10) was released in October of 2004. It quickly became very popular among Linux users for its ease of use and advanced hardware support. It remains the most popular version of Linux at Distrowatch. Development of the distribution is currently funded by Canonical Ltd, a company owned and run by Mark Shuttleworth. In July of 2005, Canonical created the Ubuntu Foundation with an initial endowment of $10 million (USD). The purpose of the foundation is to support development and to keep the operating system free of charge should anything happen to Shuttleworth or the parent company, Canonical.